We've done our best to keep the electronics for Maslow as simple as possible. 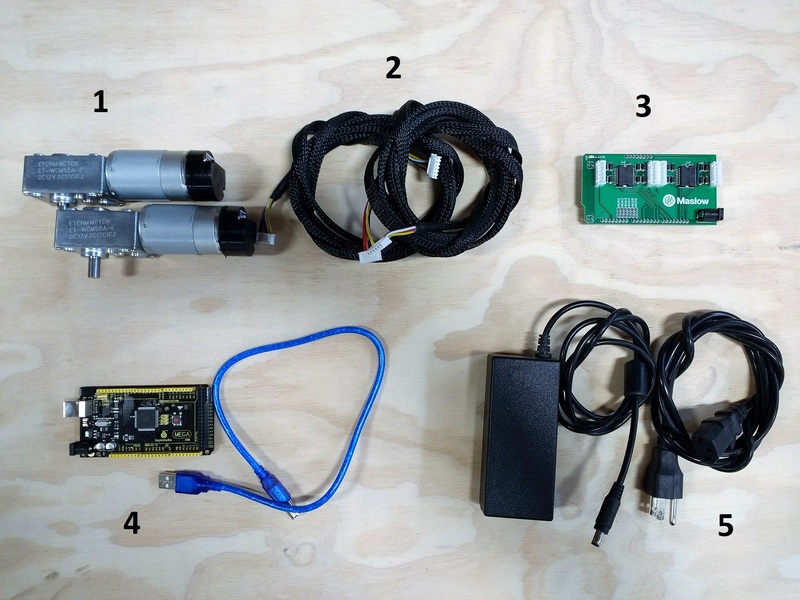 Attach the Arduino shield onto the Keystudio Mega 2560 microcontroller. 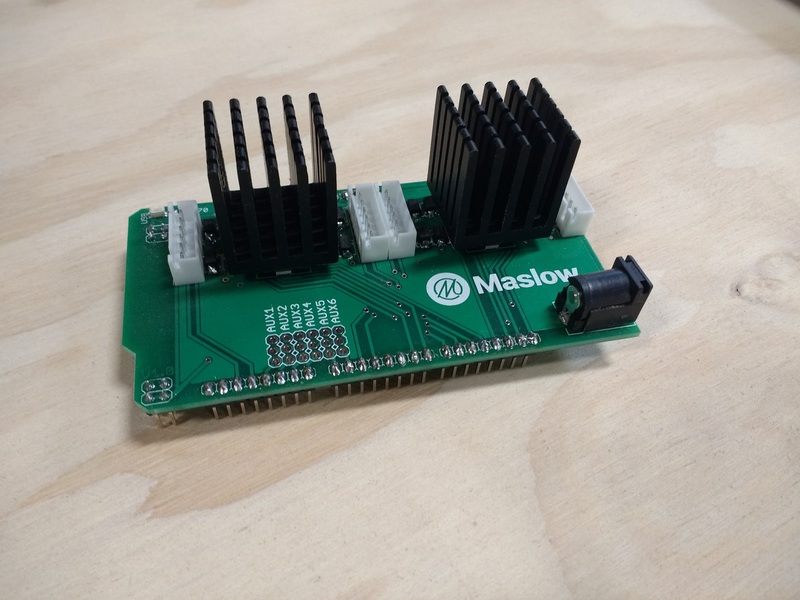 Make sure all the pins are not twisted and that are aligned with the microcontroller before pushing the motor controller shield. Attach the motors to the motor controller shield. Note that the motors connect to ports 1 and 3 not 1 and 2. 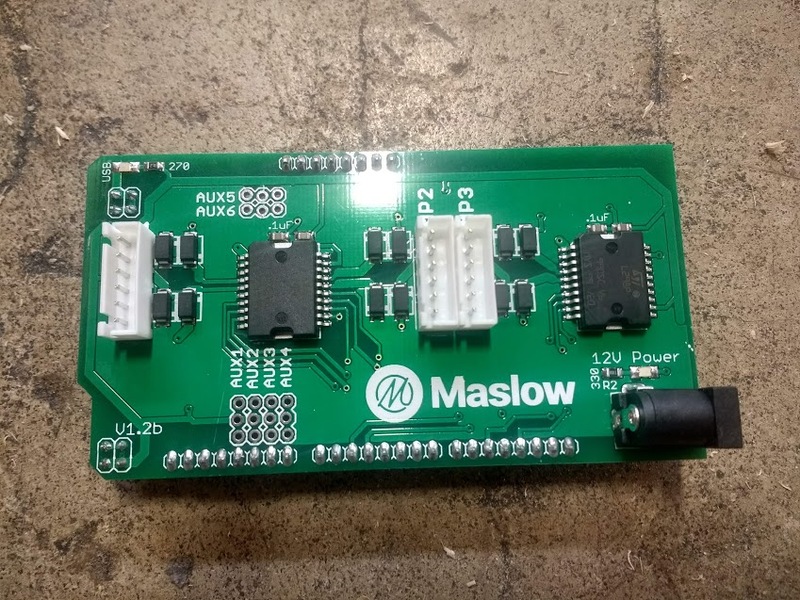 This is to better distribute the motor power draw across both motor driver chips. Port 3 controls the left motor and Port 1 the right motor (as viewed when facing the MaslowCNC). The cables have two sides, so make sure that when plugged in the Arduino shield, the yellow wire is at the bottom in both ports as seen in the following photo. 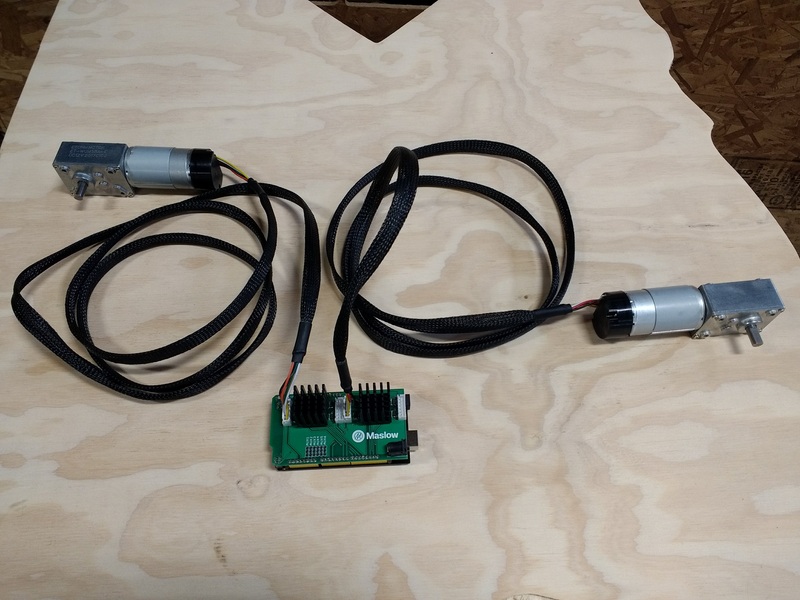 When using the optional Z axis, this motor is connected to port 2. Plug the 12V power supply into the motor controller shield. Note that the power supply plugs into the motor controller shield and not to the microcontroller. Plugging the power supply into the Arduino will not damage it, but it also will not provide power to the motors. 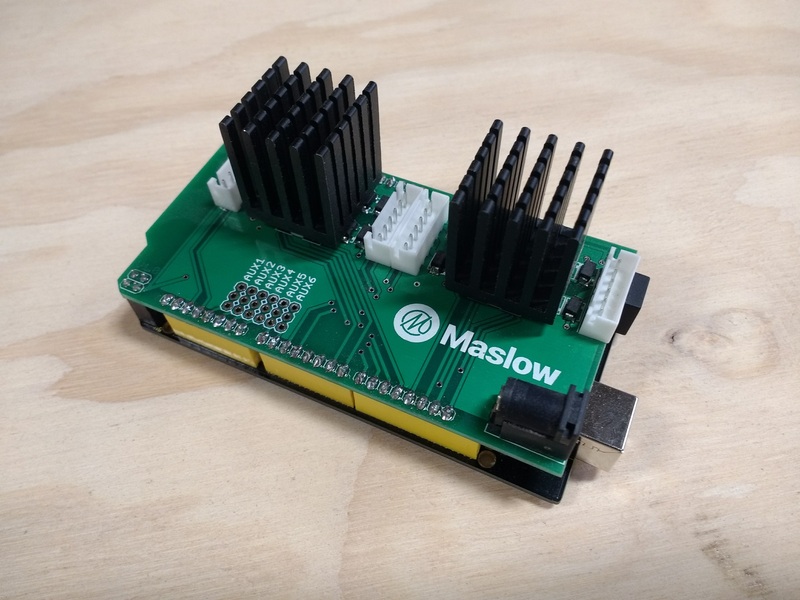 We chose the most common power supply plug to make replacements easy to find, unfortunately because it is so common this is also the same power supply plug that the Arduino uses, which is somewhat confusing. 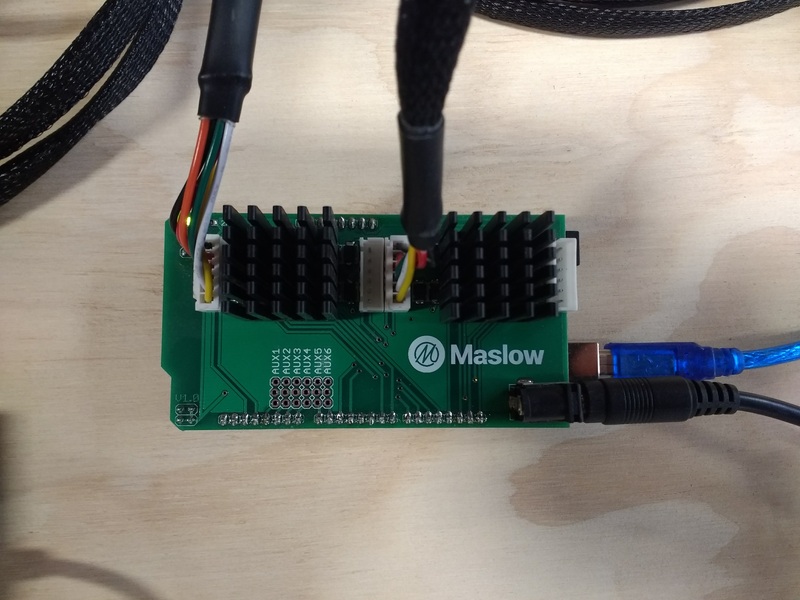 Plug the USB cord into the Arduino and into your computer. Note that the "USB" light will come on to indicate that the board is connected and receiving power from your computer. You have finished setting up the Maslow electronics system. 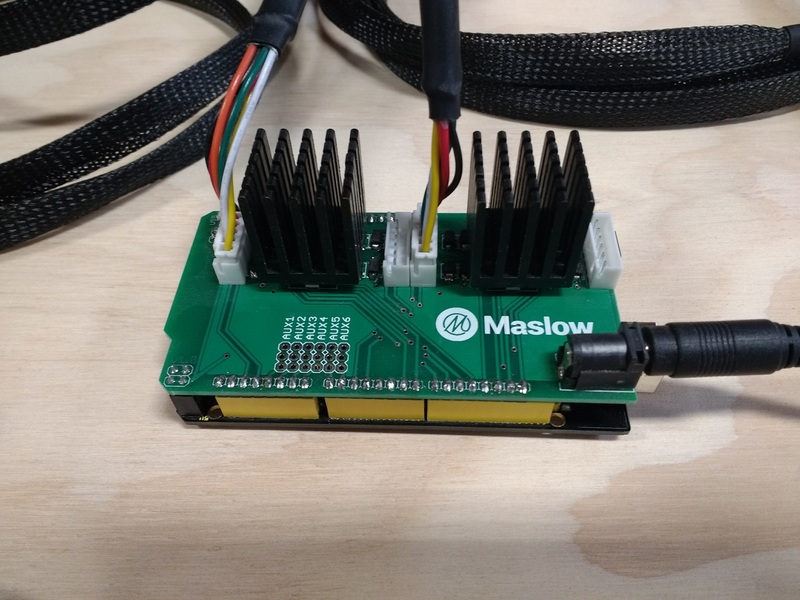 Proceed to the next step and install the open source Maslow Firmware on your Arduino. All of the part numbers below are digikey parts unless otherwise stated.